Some of the decorations on Moore Ave. in Terrell. 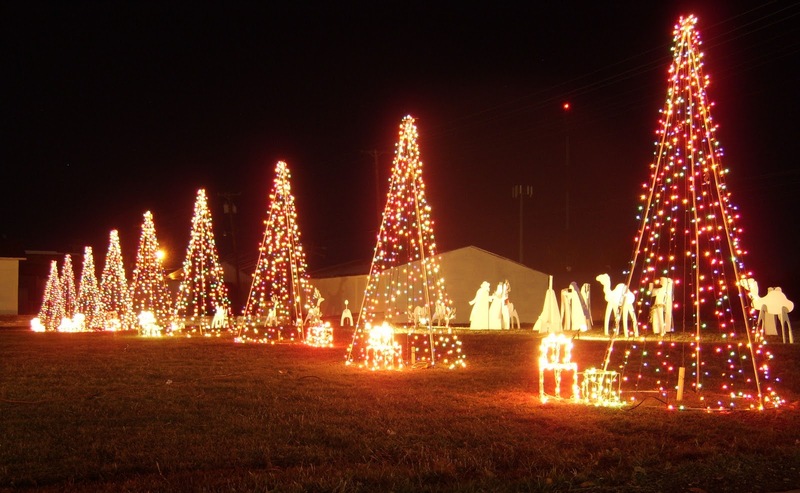 Terrell's Christmas parade, with the theme "I'll be home for Christmas" is this Saturday. It starts at 10AM and runs down Moore Ave. Its always fun, bring the family to town, watch the parade, eat and get some shopping done at our local businesses. The Herman Furlough Memorial Basketball Tournament begins today in Terrell. The Terrell team tips off at 4PM against Dallas Samuell. At 5:15 North Mesquite takes on Dallas Adamson. At 6:30 the loser of the early game takes on Dallas Pinkston, and the final game of the day at 7:45 is the loser of the second game against Wilmer Hutchens.